Mälardalen University offers scholarships to fee-paying students. The scholarships are in the form of tuition fee waivers and you apply by submitting a scholarship application form along with your other documents when applying for a study programme. The majority of our programmes and courses in English are given at Campus Västerås and many of the teachers/professors/faculty members you will encounter during your studies at MDH are based there. This in combination with the active international student association makes most international students choose to stay in Västerås. As a service to you we cooperate with the local accommodation agency Bostad Västerås to make it easier for you to apply for housing. In Västerås you can choose between corridor style apartments with a shared kitchen, or apartments that have a private bathroom and kitchen. Many of the apartments are located conveniently close to the University. There are both furnished and unfurnished alternatives to choose from. Read more on our accommodation webpage. 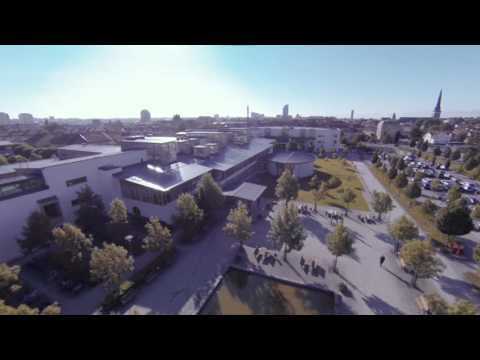 As a student at Mälardalen University you have the opportunity to spend a part of your studies abroad. The university cooperates with some 130 partner universities around the world, so there are enough to choose from. Read more under Study Abroad on our website.